Out of the 10 retiring members, four are from Trinamool Congress, three from Congress, two from BJP and one from the CPM. The notification for the now-postponed polls was to be issued today as per the May 16 press statement. 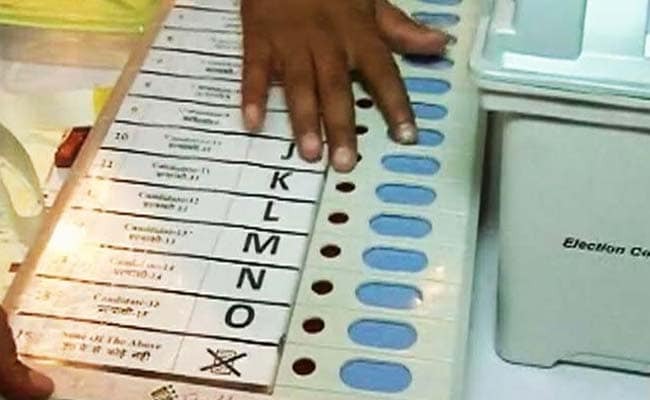 New Delhi: The Election Commission today deferred elections to 10 Rajya Sabha seats scheduled to be held on June 8, citing a clash with the presidential poll due in July and the EVM challenge beginning on June 3. A brief statement from the EC said it has decided to "withdraw" the press note of May 16 announcing the elections to Rajya Sabha seats from Goa, Gujarat and West Bengal. It said it will announce fresh dates "in due course". The terms of several prominent faces in the Rajya Sabha, including Union minister Smriti Irani, CPM general secretary Sitaram Yechury and Trinamool Congress leader Derek O'Brien, are set to end in July and August. While the term of Congressman Shantaram Naik, elected from Goa, is coming to an end on July 28, the retirement of Congress' Ahmed Patel, BJP members Dilipbhai Pandya and Ms Irani - all from Gujarat - is due on August 18. The tenure of members from West Bengal - Mr O'Brien and his party colleagues Debabrata Bandhopadhyay, Dola Sen and Sukhenduhakhar Roy; Congressman Pradip Bhattacharya and Left-leader Sitaram Yechury - are also ending on August 18. An Election Commission spokesperson later clarified that the presidential election may coincide with the schedule of Rajya Sabha polls in view of the fact that secretaries of legislative assemblies are notified as returning officers for RS elections and they are also to be appointed as assistant returning officers for the presidential election. The retiring members would have participated in the presidential election as their terms would have ended after the election is held sometime around July 20, he said. "Besides the Commission has invited the recognised political parties to prove before the Commission the allegations made on tamperability of VVPAT and EVMs from June 3 and this will divert attention of some of the parties who may like to participate in the challenge," he said.